Yeh to chalti hai tujhe uncha udane ke liye. Tu shahi hai, basera kar paharon ki chattano par. Keh tere bahr ki mojon main iztirab naheen. Khuda bande se khud pooche bata teri raza kya hai. You can hear some of these quotes with top-quality vocals in this video. This entry was posted in Life & Spirituality and tagged basera, Buland, Dr. Allama Iqbal, God, iztirab, Khuda, Khudi, Muhammad Iqbal, nasheman, Qasr-e-Sultani, Quotes, toofan, Translation, Uqaab, Urdu. Bookmark the permalink. Thank you 🙂 Good work! I DON’T CARE , FOR WHOME IQBAL WROTE THIS POETRY. I GOT MY DREAM JOB AND POSITION BECAUSE OF THIS LINES….. I DON’T CARE WHAT U ALL ARE THINKING….HE WROTE FOR ME. I got inspiration from this property now i am at such position what was my dream before. I am Hindu….truth is i get inspiration. I DON’T CARE IQBAL WROTE THIS POETRY FOR Muslim OR FOR ALL….IF U COMMENT AFTER ME OR NOT…..I TAKE INSPIRATION EVERYDAY. He wrote every single human bieng not only for the muslim.his quotes inspire the people apart their thinking and potence. there is no negativity in his prestigious teaching . His quotes encourages the one towards the destiny. I am totally inspired by his poetry everybody should read him and apply his teaching in his life. what a pity that lutfi shah said the poetry of the great Allama is from quraan. It is a big injustice against Allama and independent thinkers. Allama was free from all the establishments like so called religions . Khudi means ‘zero selfishness’ right? Being Selfish or unselfish (towards others) are two opposite poles of altruism based thought-line or ideology. Don’t confuse the ‘khudi’ with any of these ends. It is absolutely on a different plane. I believe that Allama Iqbal wanted to establish the worth of being actually ‘SELF’ completely devoid of self-related concepts or images which a man usually derives from other people’s concepts or images. When you peel off all the artificial or acquired layers of your-self, then you are left with true, pristine, original SELF of yours, i.e. KHUDI. It is not a spiritual or lofty idea. There are two articles in the same section, where you can have some deeper understanding about what it is about being your SELF or other people’s YOUR-SELF. I remind, it’s a very tight-rope walk. A true Muslim Poet Hazrat Allama Iqbal. All of his poetry is wake up call for the Muslims because his poetry is from Quraan. 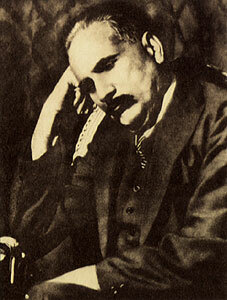 Dear Mr. Lutfi, I’m personally a great admirer of Md.A.Iqbal’s poetry. For me he is a great poet who conveyed deep inspiring thoughts in Urdu for every human with conscience who is striving to awaken his full potential. I don’t think he ever wrote for muslims only, I believe that he wrote for each ‘Insaan’. Thanks. Iqbal’s poetry is NOT “from the Quran.” It is deeply influenced by it, yes, but so was the poetry of *all* our great poets, including Hindu poets. Those who make such ignorant, baseless and hate-driven claims don’t know that Pakistan’s first national anthem was written by poet Jagannath Azad (1924-2004), at the express instructions of Quaid-e-Azam Mohammad Ali Jinnah. Azad’s “ai sarzameen-e paak” remained our national anthem until 1950–after the poet had to flee against his will, because of the riots. na hO to mard-e musalmaaN bhi kaafir o zindeeq. musalmaani: another word for Islam in Persian. Motivational quotes do not need any adjectives of appreciation. By reading these/such qoutes one will certainly be motivated for creative activities. These are like best mantras in Hindu scriptures to guide the person in desired direction. Repetition of these quotes will change the attitude towards life and bestow enthusiasm and dynamism upon the individual. Such quotes are need of the day. Allama was perhaps the greatest poet of Urdu history…..his narration…..his poetic style & his religious perspective and distinctive qualities of honor, pride and ambition is an enigmatic source of inspiration to the millions who read his work. Not only is he a preacher of religion, but also the inspirational perception the led to the creation of Pakistan. He may have left for heavenly abode many years ago, but his convincing and influential is the continuation of his great legacy. Iqbal was “a preacher of religion”? jis maarke meN mulla ho ghaazi. too bhi namaazi, maiN bhi namaazi.